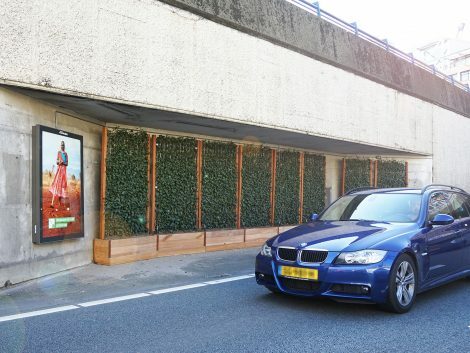 JC Decaux, famed for their outdoor advertising offer, are renowned for making the best use of living green options. Two of their latest solutions demonstrate this perfectly: an installation of air quality sensors on digital panels in Utrecht and a green roof on a supermarket in Breda. This planted roof expanse harvests rainwater, helps improve air quality and adds biodiversity for plant and animal interest. 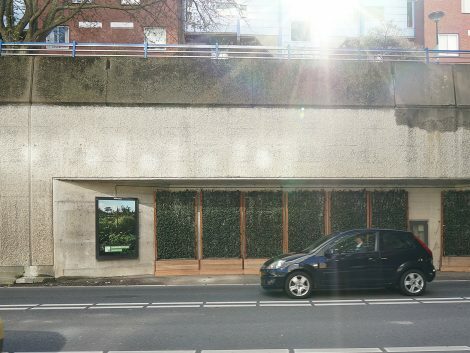 The next step for JC Decaux? Hedging The Hague! 250 square metres of living green screens, to be precise. 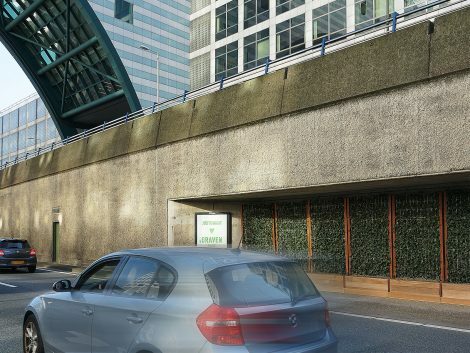 Opting for Mobilane Green Screens planted with Hedera Helix Woerner, the sustainable hedge screening adds an element of green interest along the Utrecht roadways, with the added bonus of its benefits as a pollution barrier, removing traffic particulates for improved air quality. 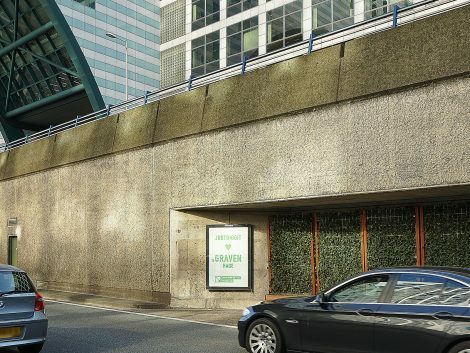 With all its greener city improvements, JC Decaux are contributing to a healthier urban environment along this important road network, where traffic has increased considerably in recent years. The Hague council administration are intending to ensure the city is “climate neutral” by 2030. Mobilane are behind this plan entirely, supporting this and other city initiatives to improve sustainability and the environment. Green space is hard to come by and a scarce commodity in an urban environment. The ready-made green solutions from Mobilane are therefore vital natural greening options for any urban landscape where space is at a premium; in the construction of new homes and residential areas, business parks and open spaces. Greening the city is imperative for the long-term climate resilience of a city, both for its visitors and for the quality of life of its inhabitants. In this way, we contribute to a greener and healthier environment around this traffic network, where the traffic has increased considerably in recent years.